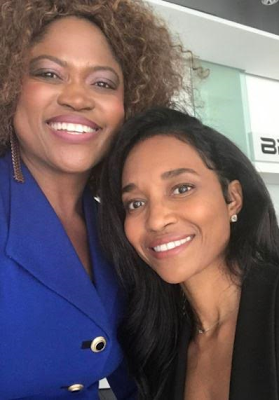 Home / Celebrities Gist / (Photos) Nigerian-born actress, Queen Blessing Itua pictured with 50cent and Chilli Of TLC on Hollywood movie set! 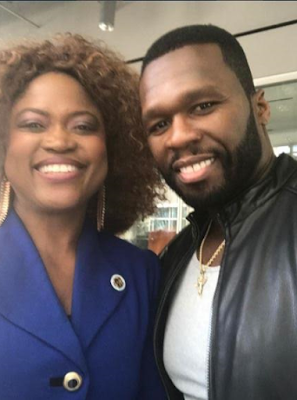 (Photos) Nigerian-born actress, Queen Blessing Itua pictured with 50cent and Chilli Of TLC on Hollywood movie set! Our very own beautiful Nigerian actress and movie producer, Queen Itua Blessing has featured in a new Hollywood movie, an action thriller 'Escape Plan 2'. The actress took to her IG page to share photos with American rapper, 50 Cent and TLC singer, Chilli. According to her, she's equally preparing for her upcoming International/Nollywood movie: 'Diplomatic Strings' slated to hit theaters in Europe, Africa, and America later this year. 'Looking good with 50 Cent today on the set of the action-thriller, Escape Plan 2. Timely Hollywood set experience as I prepare for my upcoming International/Nollywood movie: 'Diplomatic Strings' slated to hit theaters in Europe, Africa, and America later this year,' she wrote.